You can issue UnQL or UnCAL query on source DB by selecting the input and the query from the list boxes below. You can edit this text. 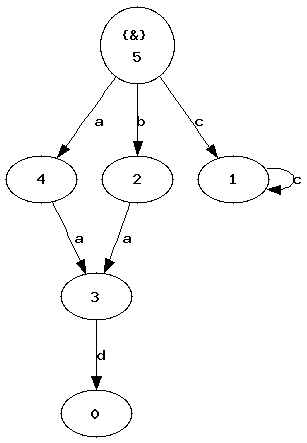 Its graph representation is provided in the next page. You can download the selected sample input DB file (in UnCAL) to serve as your templates. You can edit the selected expression in the next page. Copyright (C) 2008-2011 The BiG Team. All rights reserved.